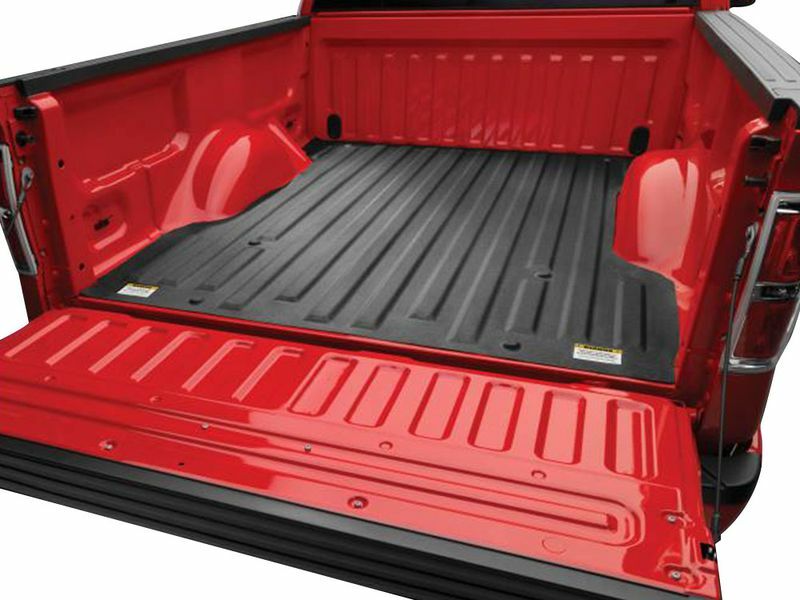 Before you add your drop-in bed liner to your truck bed, get yourself a WeatherTech UnderLiner bed liner pad to give your truck the ultimate protection. The UnderLiner will protect your beds paint from the rough texture of the drop-in bed mat. Built to be a buffer against the rubbing of your drop-in liner, the WeatherTech UnderLiner sits right between your truck bed and bed liner. UnderLiner pads are digitally designed for that perfect wall-to-wall fit in your pickup. The .065" thick semi-soft design provides excellent protection that won't throw off the fit of your bed liner. Installing your UnderLiner truck bed mat is a breeze. Just lay the UnderLiner in your bed down, install your drop-in bed liner on top of it, and you are ready to start hauling whatever your heart desirers. What are you waiting for? Order your own WeatherTech UnderLiner bed liner today! MacNeil Automotive Products warranties its WeatherTech® branded product line with exact-same product replacement for up to three years. The warranty is applicable only to defects in material and workmanship. Installing your WeatherTech UnderLiner bed liner pad is a breeze. Just lay it down and park your drop-in bed liner on top of it. If you have any other questions please give our amazing customer service a call at 877-216-5446.